I did mention about the important of trade adjustment or repair in the previous posts when we trade options. Let me kick start the first method in this post! Let say SPY is trading at 200 now and we will get premium $$1.20 ($120 per options contract) upon the construction of this options trade. We understand that the max losses if we do nothing and SPY drops below 190 will be $3.80 ($380 per options contract). We also understand that when we contract this trade, we have a good chances of success because as long as SPY remain flat at 200, going up a lot, going up a bit or even dropping to 195 in the next 39 days, we will pocket $1.20 ($120 per options contract) happily. If the market go against us, the first method which I would like to share is to close the sell options leg and let the buy options leg to recoup the losses and turn the position into a winning position. This is the most aggressive method of all. We are trading against the time decay especially if the options has DTE of less than 30 days. However, when market is dropping, it can descend fast and we can subsequently close the remaining options leg. We remain our SPY 190 PUT strike, premium should be around $3 and let the premium price to go up more when SPY continue to drop. I recommend to close this remaining options leg after a day or two max when we breakeven or slight profit. It is not recommended to hold on to this remaining leg too long as the time decay will hurt our premium. 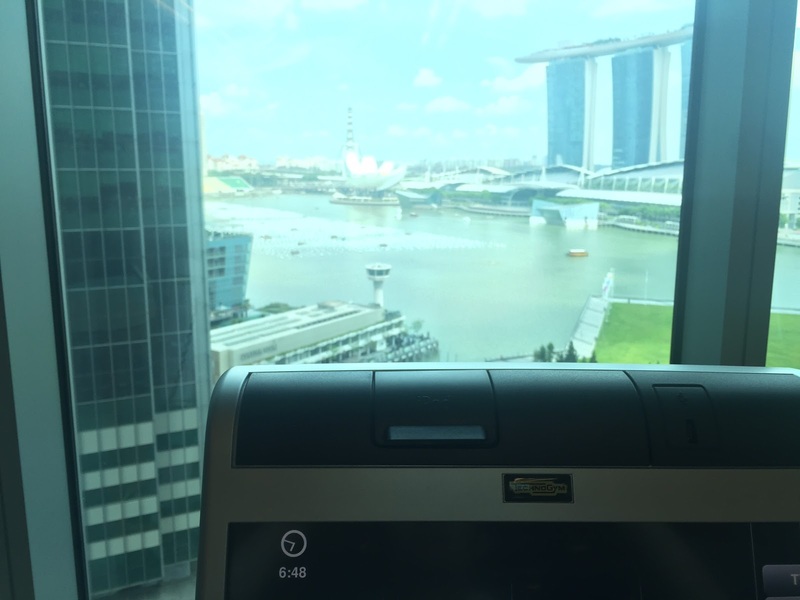 It is definately not bad for me to complete this blog at exercise bike in front of a great view.